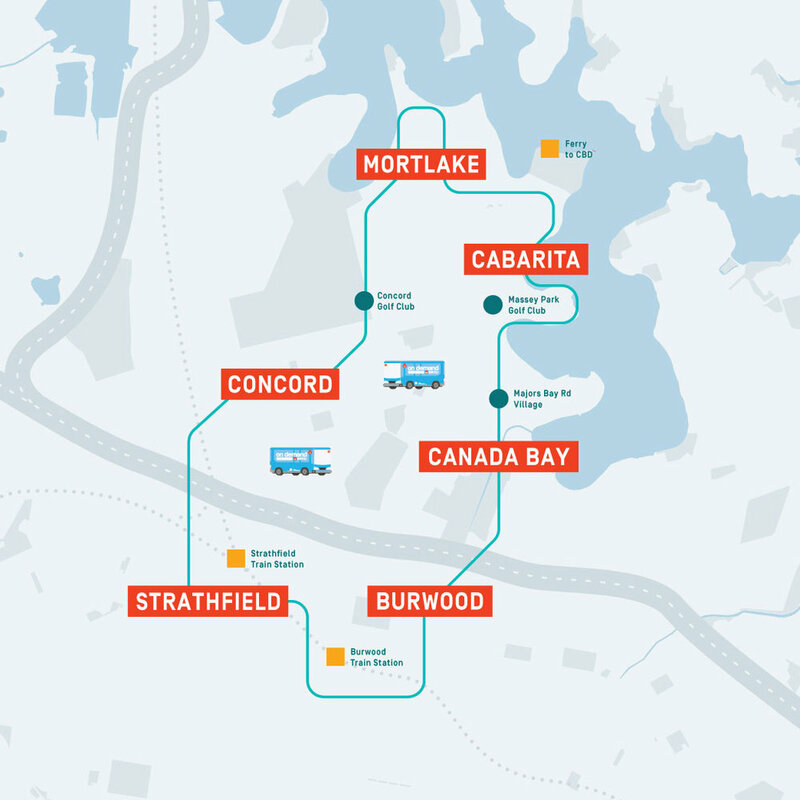 This BRIDJ service connects Mortlake and Cabarita to Burwood and Strathfield Stations seven days a week. Plus BRIDJ passengers hop on board knowing they’ll have their very own seat and the convenience of free onboard WiFi. It’s easy to get started. Download the BRIDJ app, book a seat then meet us at the pick up point most convenient to you. Please check the BRIDJ app for accurate trip times. Frequency may vary depending on your location and because our drivers are human and need a break.